One hundred forty years ago today, in the January 15, 1870, issue of Harper's Weekly, cartoonist Thomas Nast launched one of his most enduring images: the donkey as a symbol of the Democratic party. In the cartoon, Nast was lambasting the copperhead faction of the party -- which had opposed the Civil War -- and those Democratic papers that continued to criticize Lincoln's recently deceased Secreteary of War, Edwin M. Stanton. 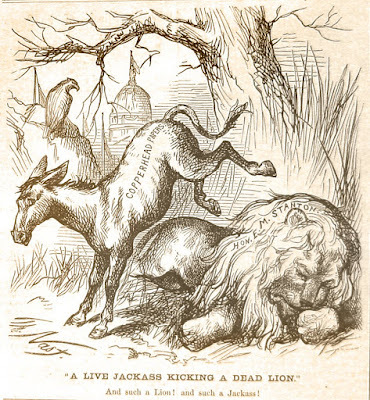 Nast's critique is not terribly subtle: Stanton is "lionized" by the cartoonist and the Democrats are branded jackasses. In fact, the donkey had an association with the party dating back to President Andrew Jackson, who had been openly called a jackass by his opponents. 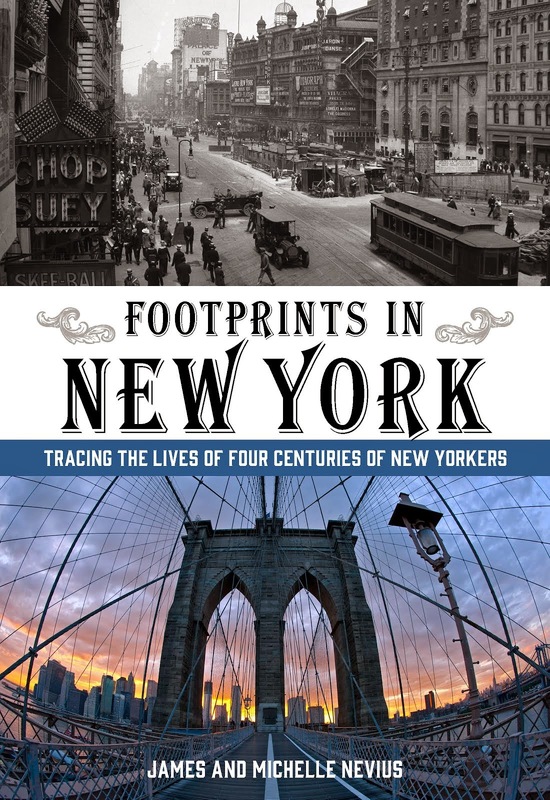 But it was Nast's ongoing use of the symbol in the 1870s that brought it lasting popularity. In 1874, he introduced the elephant as his representation of the Republicans, minting the symbols that the parties still use to this day. Nast (who also gave us such enduring images as Santa Claus) was a vitriolic cartoonist and he often drew horrible anti-Catholic, anti-Irish, and anti-immigrant screeds. However, despite this hate, it is an urban myth that the word "nasty" is derived from his last name. I continue to enjoy these bits of education. I knew most of this about Nast but not about his anti-isms. That cartoon you linked to about the American River Ganges is chilling. And cool.